Literary fiction in the British Isles is a product mostly made and consumed by upper middle class people. In England it is disproportionately a product of a Metropolitan elite who live - largely - in North London. The majority of these people went to private school but, of course, 93% of the population of the UK went to state school. Private school and Oxbridge followed by a house in Islington do not give you a particularly good grasp on what your fellow Britons are thinking outside of London unless you really try to make the effort. Apart from its outsider voices like Zadie Smith, Jeanette Winterson, Monica Ali, David Peace etc. British literary fiction has generally been pretty moribund and dull for the last 30 years IMHO but crime fiction in the UK has never been better with regional voices, women, ethnic and religious minorities at the cutting edge of an exciting ever-changing genre. Crime fiction too is pretty much the only place in British letters where you get authentic working class voices represented, not just (as in the old days) as criminals and victims but increasingly as detectives. CFL just published a great list of 12 regional crime fiction novels which shows you the diversity of the genre. I've only read half of this list so I really have some catching up to do. But what I have read has been illuminating. It's in British regional crime fiction that you see reflected the seeds of discontent that led to Brexit, not in the dull lives of wealthy Hampstead sophisticates. When I saw Will Self and Eddie Izzard on Question Time lambast the Brexiteers as racist, Little Englanders, I winced at how out of touch they were. Literary fiction has singularly failed to capture the Zeitgeist of a discontented England but crime fiction with its finger on the pulse of working class culture has been talking about the seething anger of a lost generation for a decade now. If you want to know whats really happening in UK society read some regional British crime fiction not the poncy whitterings of some posh people in Belsize Park. And then, of course, there's science fiction. 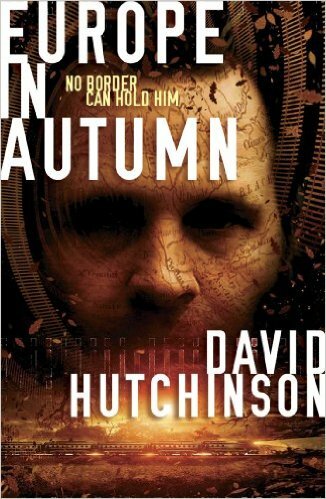 Dave Hutchinson's Europe In Autumn predicted Brexit and the fences between Hungary and Serbia etc. five years ago when no one else was even thinking about such things. And one of my favourite crime novels of the last decade China Mieville's The City and the City was all about the borders of the mind and the geography of difference both real and imaginary. A sophisticated exploration of frontiers, boundaries, immigration and sovereignty.